So much yarn, so little time. : I've been blogged! Raisinlike who has blogged about me and the meerkat mob. I've just been reading the lovely comments, and feel thoroughly "stroked". I love my virtual friends, don't know where I'd be without them. 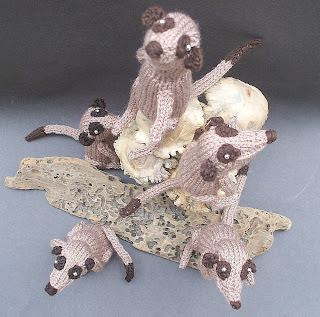 Aww, those meerkats are adorable. My son's favourite animal.